The perfect wedding shoe for little girls. These girl shoes is a Spanish style wedding shoe and comes in 4 different colours. 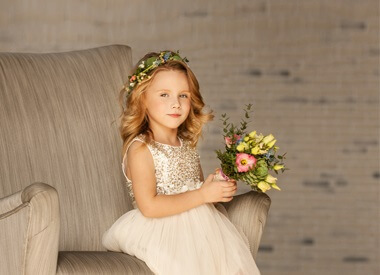 Ideal as a bridesmaid shoe or flowergirl, your little girl can wear this for all special events or it can be worn for parties.